Motorists who drive shorter distances may actually be paying more for car insurance than those who rack up the miles, according to new research. People who drive between 5,000 and 6,000 miles a year could be paying £200 more than somebody driving twice as much, a study from pay-as-you-drive car insurer By Miles found. You might expect that driving less would lower your risk of an accident and reduce your insurance premium but the findings suggest the opposite. Which? looks at the research and reveals the insurance options for low mileage drivers. By Miles analysed 2.5 million car insurance quotes between July and October last year on price comparison website Money Supermarket. It found that, on average, motorists who say they drive between 5,000 and 6,000 miles a year are being charged an average of £233 more than those claiming to clock up to 12,000 miles per year. Drivers aged between 25 and 29, who estimate they’ll drive 5,000 miles in a year, were paying £229 more than those claiming to drive 11,000-12,000 miles every year, according to the research. Older motorists were also being hit, as the study found drivers aged between 50 and 64 who estimated they drive 5,000 miles annually were paying £100 more than those who say they’re driving 11,000 to 12,000 miles each year. The graph below shows what the average cheapest quotes were for annual mileage estimates from the 2.5 million car insurance quotes. Around 60% of the 14,503,248 cars which had an MOT in 2017 had been driven less than 7,134 miles, the UK average for that year, according to statistics from the Department for Transport. By Miles claims this means millions of drivers could be paying more for their car insurance than higher-mileage drivers, based on the insurance data from MoneySupermarket. Of course, not all cars are required to have an MOT – only those more than three-years old – and some drivers may have multiple cars. The Association of British Insurers (ABI) said estimated annual mileage can be a relevant factor for insurers but a range of others ones are also taken into account when assessing the cost of car insurance. These might include the driver’s age, claims record and driving history, the type of vehicle being insured and how the vehicle will be used. 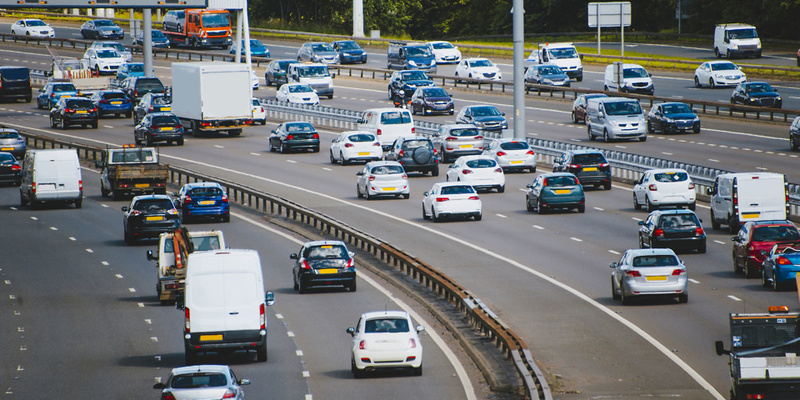 Younger drivers are statistically more likely to be involved in accidents so they will be seen as a higher risk, even if they are in the low mileage category, according to the ABI. The association advises drivers to shop around to get the right policy for their particular needs. Black box insurance, also known as telematics, is a type of car insurance policy which calculates your premium based on the way that you drive. Your insurer installs a small GPS box in your car which transmits information back so they can assess your performance behind the wheel, taking into account factors such as braking, cornering, steering, speed, the time you drive and mileage. Many black box insurers are targeted at younger drivers, aged from 17 to 30. While Black Box insurance can lower your costs in some situations, it’s not the right choice for everyone. If you’re at an age where you’re likely to be penalised with higher premiums – either younger or much older – it could help lower your bill. This is especially true if you use your car infrequently. The GPS will also allow your car to be tracked down if stolen. On the other hand, if you drive often, and for long distances, you could end up paying more than you would with a standard policy. Insurers will sometimes put limits on how you can use your car – for example, a curfew late at night or early in the morning. While you can still use your car during these times, your premium may go up. It’s worth keeping in mind that bad driving will impact your premium. In addition, the data from the GPS could pin blame on you in a disputed accident. In the worst-case scenario, your insurer may be compelled by a court order to hand over the driving data to the police. See our guide on how Black Box Insurance Works and watch a video explaining this type of insurance below. Whether you only use your car once a week, or drive miles every day, it’s worth shopping around to find the best policy for you. You can find out more in our guide to finding cheap car insurance. And, if you’re a Which? member, you can see how experts and customers rate well-known brands in our reviews of best and worst car insurers.